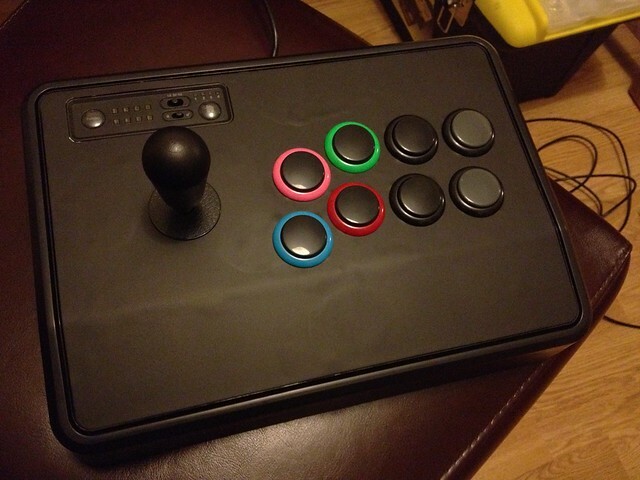 I finally got around to doing something I’d wanted to try for a long time; to mod a joystick. I think the last time I’d touched naked electronics was back when I was 14 or 15 at school (quite a long time ago now), so the project was quite exciting (and a little bit scary). Thankfully it all went really well; I found the experience rewarding and the end result I’m very happy with. I took a series of photos outlining each of the steps, so if interested please check them out. I’ve begun doing some work involving the PlayStation 3 web browser. I thought for ages that it used NetFront as it’s browser manufacturer, but it turns out it’s supposedly proprietary and kinda based on Internet Explorer 4 (thanks @jaffathecake for that). I messed around with the Sony PSP browser years ago and found it to be very sluggish and lied sometimes when you tried to test for certain features. Anyway, I took a mini adventure across the web to see how a number of popular websites would fair in the PS3 browser and was disappointed to discover that the browser crashed. More than once. Three times in fact, and it wasn’t just a browser crash; the whole PS3 needed restarting on each occasion. I visited such sites as Yahoo! Mail, Hotmail, Flickr and when given the option always went for the non-latest JS-Lite versions whenever presented. I applaud Sony for updating certain elements associated with browsing so far (such as updating Flash support to version 9), but it’s frustrating when you’re excited to be developing on next-gen consoles only to discover they’re built on very old and flaky browsing technology. I doubt it’s top of their list, but I’d hope within the next few firmware updates they might consider adding to the standards support of their browser.